When A Humble Piece of Toast Makes You Weak At The Knees! At first glance, it’s easy to see it’s a quality product. The Japanese made unit is robust and comes in two pieces. It comprises the toaster unit itself and an accompanying mesh – both are made of stainless steel. But being stainless steel by no means makes the toaster heavy. In fact, it’s extremely lightweight and robust, weighing just over 300 grams. The folding toaster handle has also been cleverly incorporated into the design by holding the mesh in place for storage. Once folded down, the entire unit would only be the size of a family block of chocolate, so it’s easy to store. What we soon realised when using the toaster was its versatility; especially as it can be arranged in a few different configurations. 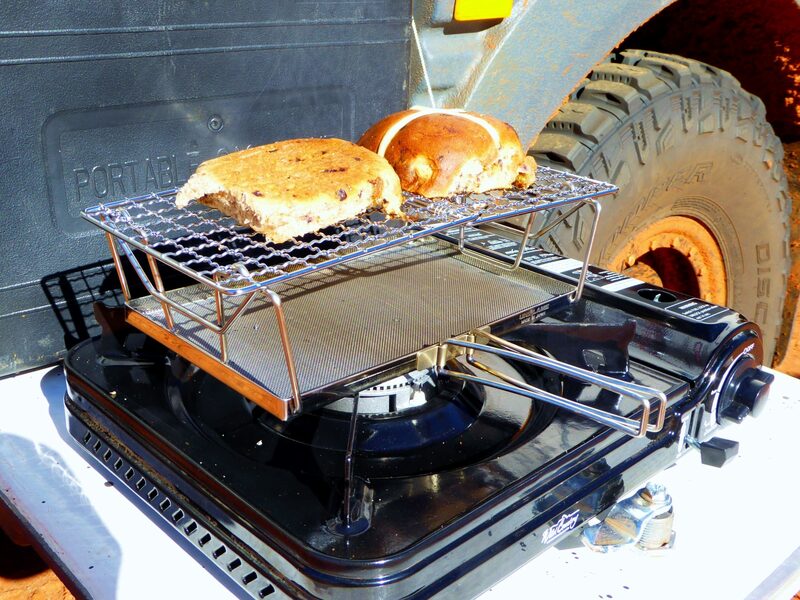 It holds two slices of bread (that’s a bonus compared to some other stove toasters), and the slices can be placed either horizontally onto the toaster’s mesh or raised on an angle (which we found useful for our single burner). We also found the toaster was a good all-rounder. Whether it was breads, hot x buns, crumpets, or muffins that we wanted toasted, it didn’t matter. This toaster accommodated the lot. Then any burnt residual bread (or in the case of fruit for fruit toast) that was left on the mesh simply brushed off once the toaster was cool. 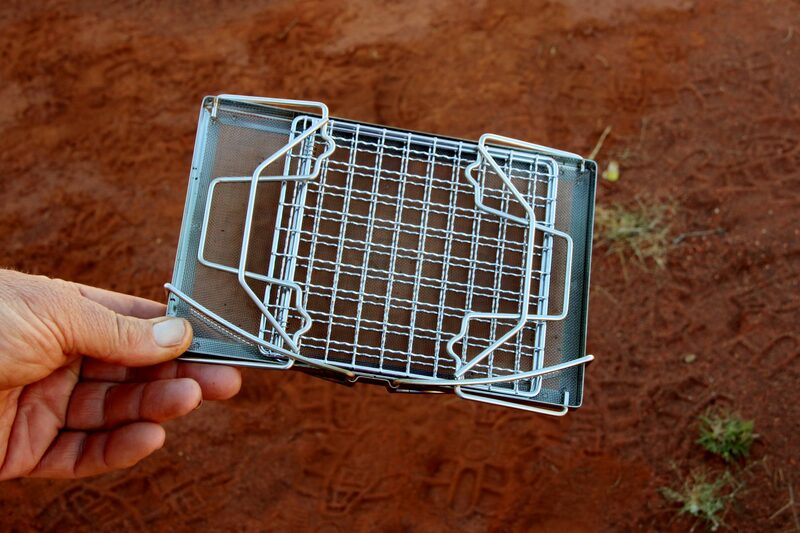 Unlike our old toaster’s gauze, there’s no need to replace the mesh on the Uniflame Stove Toaster. This puts our new camping accessory towards the top of our must-pack list that we simply won’t leave home without in the future.